Monarch Air Group provides private air charter in Concord, CA. Our clients benefit from top-notch service, unrelenting dedication to safety, wide selection of aircraft, and years of experience in chartering private jets. To obtain a free quote, please use our online quoting tool provided below, or call toll free 1-877-281-3051. Monarch Air Group provides private jet charter flights in and out of Concord, California, USA. Concord is a city in north central California, northeast of Oakland. It has a total area of 30.5 square miles and a population of about 122,067 people. The city is a home of the annual Concord Jazz Festival, and 15-time World Champion Blue Devils Drum and Bugle Corps. The most notable points of interest include Sleep Train Pavilion, Sunvalley Mall, The Willows Theater, Port Chicago Naval Magazine National Memorial, Baldwin Community Park, West Wind Solano Drive-In Theater, Todos Santos Park, and many others. The nearest airports are Oakland International Airport (OAK / KOAK), which is located 31 miles from the center of Concord, San Francisco International Airport (SFO / KSFO), which is located 41 miles from the city, San Jose International Airport (SJC / KSJC), which is located 51 miles from Concord, and Stockton Metropolitan Airport (SCK / KSCK), which is situated 56 miles from the city. 1. Crowne Plaza Concord, 45 John Glenn Drive, Concord. 2. Red Lion Hotel Concord, 1050 Burnett Avenue, Concord. 3. Crowne Plaza Concord, 45 John Glenn Drive, Concord. 4. Red Lion Hotel Concord, 1050 Burnett Avenue, Concord. 5. Crowne Plaza Concord, 45 John Glenn Drive, Concord. 6. Red Lion Hotel Concord, 1050 Burnett Avenue, Concord. 7. Crowne Plaza Concord, 45 John Glenn Drive, Concord. 8. 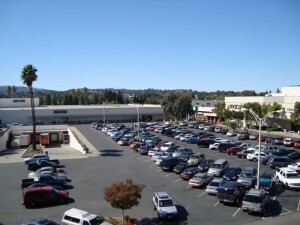 Extended Stay America Hotel Pleasant Hill – Buskirk Ave., 3220 Buskirk Avenue, Pleasant Hill. 9. Red Lion Hotel Concord, 1050 Burnett Avenue, Concord.